At noon Friday, Jan. 20, Donald J. Trump took the oath as the 45th president of the United States. Hundreds of thousands of Trump supporters were in Washington, D.C., for the festivities — inaugural parade, new president’s speech, the inaugural balls, etc. No surprises there. Hundreds of thousands of anti-Trump protesters vowed to come to Washington to try to disrupt the ceremonies. But many people also vowed to move to Canada if Trump was elected. None of the “celebrities” who had threatened to deprive us of their hallowed presence, have done so. And with the inauguration heavily protected by police and National Guardsmen, my guess is the “protesters” weren’t able to come within a country mile of the important stuff that’s went on Friday. But this column is not about the inauguration, specifically. I’ve written too many politically oriented columns the last few months, anyway. What I’m thinking of here, in a much broader sense, is, why can’t we disagree with someone about politics, or religion, or the continued presence of monarchies in some countries, without hating the other party, or particular leaders of it, or those who don’t worship like us, or those who believe that monarchies still have a place, in some countries on this earth,. without hating those with whom we disagree? The current hatred for Donald Trump which apparently afflicts about half the U.S. population, is the most obvious example we could point to right now. True, one could say with some justification that our president-elect has brought a good bit of the extreme dislike onto himself. He is loud, brash, often careless about what he says about his opponents (or maybe he just doesn’t CARE what he says), and not afraid to say things that many people consider “politically incorrect.” When you’re worth several billion dollars, you pretty much say whatever you WANT to say. But the main reason that Trump was elected was that he was speaking what millions of Americans heard as “truths” that other politicians were afraid to say. 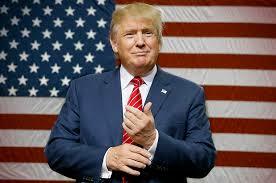 And many, many of those who disagree with him, find his views, and his personality, so detestable that they absolutely hate him, will not admit that he won the election, are calling for “martial law,” impeachment, blah, blah, to try to keep him from becoming president, and so on. In other words, they are acting like the little boy who got his nose out of joint because of the way things went in the marble game, so he took his stock of them and went home. So what I’m saying is, why can’t we disagree without “hating” one another? In the area of religion, we often hear about “hate crimes” being charged against anyone caught defacing Jewish headstones in a cemetery, writing anti-Semitic graffiti on a Jewish-owned store, and a number of other such low-down actions, such as posting anti-Semitic slurs on the Internet. And of course, they’re wrong to have done them, and it would be wrong to do them to any identifiable religious group. And most of us are quick to pounce on anyone identified as having done such things, and denounce them wholeheartedly. And I agree. But in the U.S. especially, some other religious groups don’t get that automatic support when attacked. The Church of Jesus Christ of Latter-day Saints (Mormon) comes to my mind immediately. There are numerous anti-Mormon websites on the Internet who make no apologies for slurring the Mormons in any way possible. They claim that Joseph Smith’s relating of his being visited by the Father, Son and Holy Ghost, being given “golden plates” inscribed with God’s words, and being ordered to found a new, “restored” Christian church, is all lies, made up out of whole cloth. They defend Joseph Smith’s murder by a mob while he was being held in jail as “justified” because he supposedly fire a gun at the mob first. 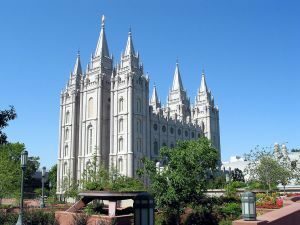 They claim that the Mormons’ financial successes in Utah and elsewhere are due to underhanded business dealings, “forcing” members to donate 10 percent of their income to the church, and other things. If there is a “leader,” so to speak, of this anti-Mormon hatred, it is the Salt Lake Tribune, a newspaper which gives the term “media bias” a bad name. Founded in the 19th Century by a Catholic family who did not like the Mormons and intended their newspaper to be a rallying point for the non-Mormons who were moving to Utah in large numbers, the newspaper has never backed off from its constant ridicule, belittling, and outright hatred for the LDS which is the dominant religion in the state. Any news story which can be twisted in a way to put the Mormons in a bad light, paint their leadership as a “patriarchy of old White males,” highlight in a very favorable and sympathetic way any ex-Mormons who have nothing good to say about the church, and so on, is published gleefully by the management of the Tribune. And, no surprise here, those who regularly post comments on the Tribune’s website concerning the anti-Mormon stories, tend to be just as bitterly anti-LDS as the newspaper itself. I used to post replies to many of their scurrilous comments on the website, until the newspaper barred me from posting ever again. Guess I had made them look foolish once too often. And no, I’m not and never have been, a Mormon — although most of the “Hate-Mo’s” — a Utah word meaning someone who hates Mormons — would not believe me when I told them that. OK. You don’t like the Mormon church. No one says you have to. But to hate not only the church, but its membership, is both a sour and a childish way to look at the world. Despite massive immigration from other states and foreign nations, Mormons still make up about 60 percent of the people of Utah. And the state ranks very high in a number of favorable categories among the 50 states. Including “happiest.” In their 187 years as a religious group, the Mormons have developed a unique “character”, if you will, almost like that of an ethnic group. They are taught to be honest; to be willing to work hard to advance in the world; to ignore, as much as possible, hate-filled criticism such as that which appears in the Tribune; and to see no harm in becoming successful and wealthy, provided it is done honestly without harming others. Kind of like the Jews in their many centuries of isolation and being driven from one country to another, as the Mormons were chased from state after state early in their history. And the third area where one can detect knee-jerk hatred on a major basis, is in the attitude of many people toward the very idea of monarchy, of viewing a hereditary king or queen as the symbol of the nation, although almost none of them nowadays have any real political power. People who are “eat up” with the idea of democracy, and “equality,” and monstrously offended by the sight of a monarch wearing a crown, riding in a gold coach, being cheered by crowds, etc. Plus, they complain endlessly on various websites about the “millions of (pounds, baht, kroner, fill in the type of currency) that are spent on the maintenance of the monarchy each year. It’s what I call the, “Think how many hungry children could have been fed with that money” argument. In the last 30-odd years, though, most of this hatred has centered on Charles, Prince of Wales, heir to the British throne, for not making a go of his marriage with “Saint Diana,” as I like to refer to her — sarcastically, of course. Their 1981 marriage fell apart after the births of princes William and Harry, with both partners forming romantic attachments with other people. But so many people, in Britain and elsewhere, were so ga-ga over the beautiful Diana that they placed the entire blame for the failure of the marriage on Charles. 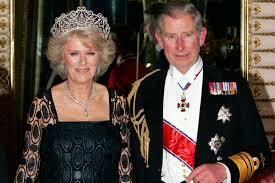 And especially on Camilla, his lover for a number of years before he met Diana, and ultimately, in 2005, his bride. Meanwhile, Diana had formed a romantic relationship with the son of a very wealthy British Muslim before she was killed in a 1997 limousine crash in Paris. Naturally, many of the Dianaphiles have insisted ever since that her death was caused deliberately “on orders from the palace.” They have no evidence to support that notion; they just WANT to believe it. And the bile and venom of the Charles and Camilla haters comes out most predictably in the comments posted on YouTube under videos of either or both of them. I’ve seen Camilla referred to in absolutely vomit-inducing terms on there. Many of the haters have said frankly that they hope Charles dies before his mother, Queen Elizabeth II, so he can never be king, or Camilla, queen. Sometimes YouTube has deleted the comments, and banned any more from being posted, on a particular video, when they got just too scurrilous to be tolerated. And yet, do you think any of those haters could honestly say that Charles or Camilla had ever done anything wrong or harmful to them? I doubt it, very seriously. Most of them were just so enraptured with Diana that when she was killed, they immediately looked for someone to blame it on. And — surprise, surprise! — they quickly settled on Charles. And on Camilla, by extension. I’ll add one more that I came across quite some time after posting this column. Have you ever looked at a video of a baby money? Or seen one in a zoo? There are hundreds of videos on YouTube showing baby monkeys with their mothers, with human parents who have adopted them, etc. They are absolutely adorable, in my eyes. Fragile little fellows with big, innocent eyes that often look almost human. Well, for some unknown and vile reason, a lot of people who post comments about those videos, seem to hate monkeys like the plague. They’ll post things like, “Shoot that ugly tree rat in the head!” Or, “Monkeys are disgusting vermin. Kill them all!” And why, I do not know. But I find it absolutely disgusting. And finally, this word “hatred” nowadays has become completely identified with some old White farmer with snaggle teeth and tobacco juice on his chin, yelling, “I hate them damn niggers!” Yes, that’s one kind of hatred. But there are numerous kinds. I’ve tried to document three of those. Can’t we disagree, without hating each other? Sincerely enjoyed your “take” on current events, Old Corporal. Great piece. Hope it’s taken “to heart” by many! It’s all too true! Thanks so much, good friend, for your comments. Now I wonder if anyone else will post? !